The Charlotte Yoga Teacher Training is held by the Urban Bliss School of Yoga. Urban Bliss Yoga offers 200 hour Yoga Teacher Training in Charlotte as well as 300 Hour Yoga Teacher Training in Charlotte, NC. 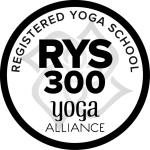 For pricing of this Charlotte Yoga Teacher Training as well as to register for the next Yoga Teacher Training in Charlotte please fill out the Yoga Teacher Training Application. The video of our Charlotte Yoga Teacher Training below was shot at our affiliate Yoga Studio in Dilworth at 1200 E. Morehead St.